I have always had a vivid imagination, and a love for fantastical things. With that being said, Alice in Wonderland is my all-time favorite Disney movie. Something about the “madness” in the characters and the enchantment of Wonderland is so appealing to me. Now, imagine combining the whimsy of Alice in Wonderland with the iconic Wizard of Oz (fangirl moment!!!). 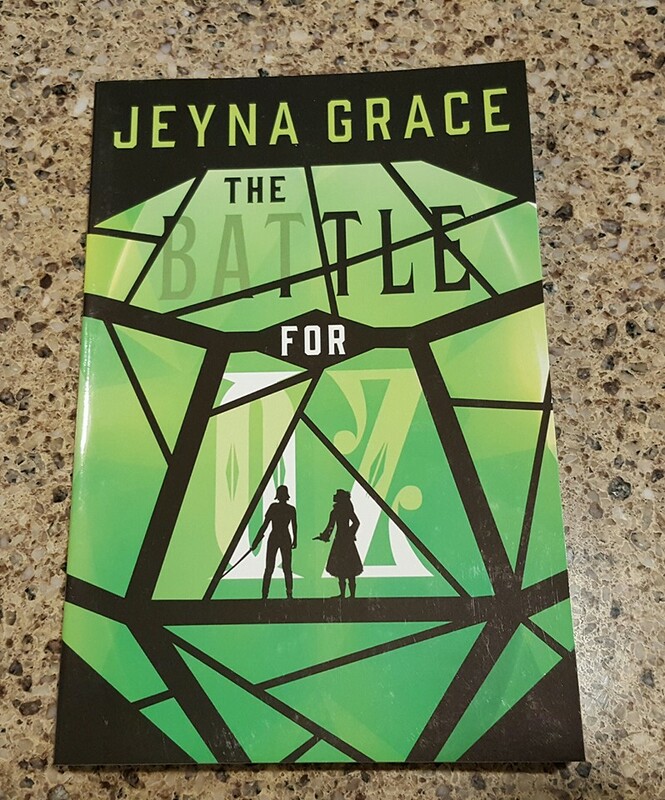 That is exactly what author Jeyna Grace did in her newest book, The Battle for Oz. The Battle for Oz starts with the evil Queen of Hearts getting banished from Wonderland after being conquered by Alice several years prior. The Queen of Hearts, refusing to be at a loss of power, quickly swoops into a new land and takes it over. Her newest conquest? Oz. The selfish queen quickly dries up everyone’s magic in Oz, leaving the citizens terrified of her wrath. The people of Oz quickly seek the help of someone who has come to the rescue before: Dorothy. However, the girl with the ruby slippers has grown some since defeating the Wicked Witch of the West. In order to defeat Oz’s newest threat, Dorothy seeks out the legendary Alice, who has put a stop to the Queen of Hearts before. When I read the description for this book, I was freaking out with excitement. The concept of Dorothy and Alice teaming up to defeat an enemy that tugs at both of their roots is seriously so enticing. In the book, both of the girls are filled with moxie as they work together. It got even better when characters from both movies/books came into play. Among those featured are Scarecrow, Glinda, Mad Hatter, and many more! Aly is a 19 year old college student in Missouri. She is working her way towards a degree in elementary education. She loves everything to do with books, kitty cats, and coffee. She is Heather's oldest son's long term girlfriend. Be sure to check out all posts by Aly and subscribe via RSS or EMAIL so you don't miss a thing! I have to say Alice in Wonderland is one of my favorites also! And the Wizard of Oz is amazing. I really like the sound of this book and really want to read it! I’m never too old for a well written fairytale of any kind. This looks amazing. What a great spin on some timeless classics. I think I would enjoy this just as much as my kids!